Strömvallen is a municipally owned football stadium located in the 13th most populated Swedish city of Gävle. 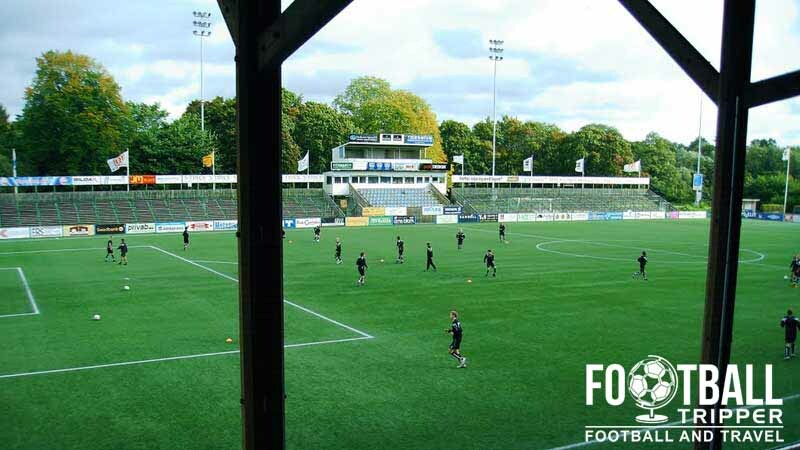 Home to Gefle Idrottsförening, the 6,703 capacity stadium first opened in 1903 is the second smallest stadium in the 2014/2015 season of the Allsvenskan. Strömvallen first opened as a multi-purpose athletics ground back in 1903, however it wasn’t until 20 years later in 1923 that the first spectator area was constructed. Home to Gefle IF who have spent the majority of their history within the lower tiers of Swedish football, Strömvallen’s capacity peaked in 1949 when 9,333 spectators attended an athletics competition for the city’s firefighters. Currently capable of accommodating 6,703 supporters, Strömvallen continued to be the city of Gävle’s main sports venue until Gavle stadium was built in 1984. This allowed Strömvallen to be converted into a dedicated football ground after the removal of the athletics track, and the construction of new stands in a rectangular arrangement, much closer to the pitch. The highest level of football played at Strömvallen to date has been the qualification matches for UEFA’s second tier European competition. Gefle IF played Welsh side Llanelli in a first round qualifier of the UEFA Cup during the 2006/2007 season, and have since participated twice in the Europa League.Yet to reach the group stages, the closest the club came was during the 2013/2014 season when they reached the third round before losing to Azerbaijani side Qarabağ FK. As for the future of Strömvallen it appears as if its days are numbered as Gefle IF announced on the 30th May 2013 that they would be building a new ground in response to the Swedish Football Association’s updated stadium criteria. 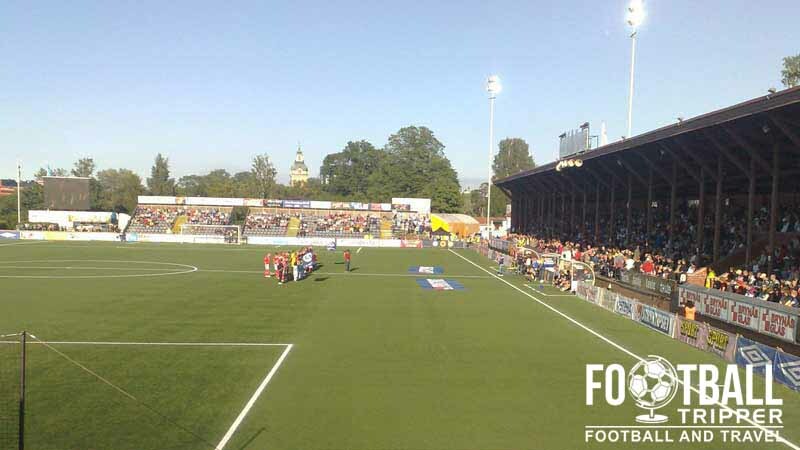 Located within the Sätraåsen area of Gävle, the stadium known as Gavlevallen is expected to open in time for the 2015 season, and will have a capacity of 6,500. Strömvallen Stadion is comprised of four stands: North, East, South and West. 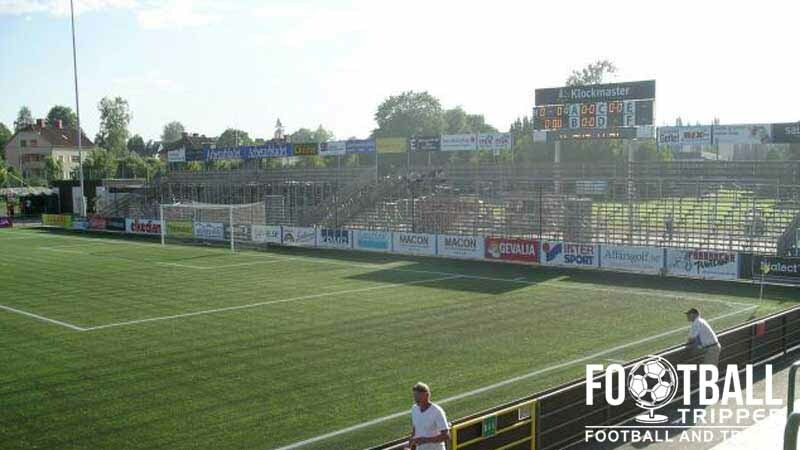 Away fans (Bortasupportrar) are housed within section T of the eastern goal-end stand which is capable accommodating up to 600 visiting supporters per match. 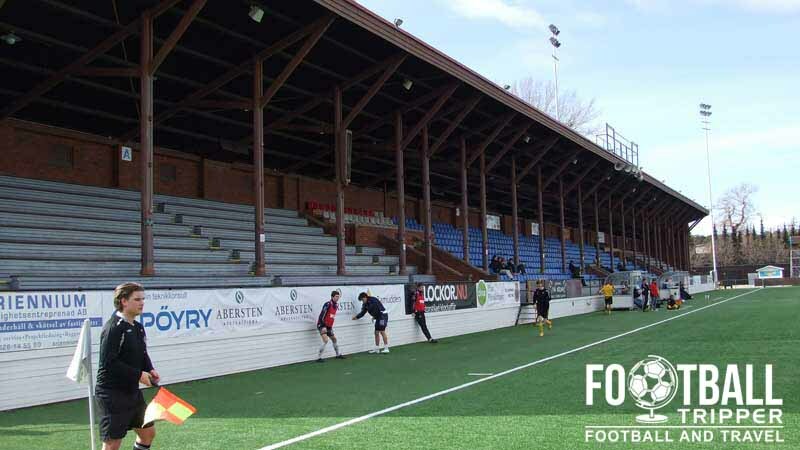 Uncovered and shared with the home supporters, tickets for this standing section cost 160 SEK. 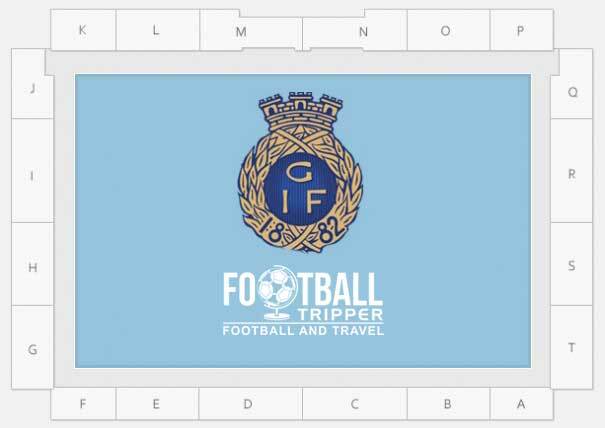 Official merchandise of Gefle IF can be purchased online from the club’s web store and from various points around the ground on matchdays. Publicly available Tours of Strömvallen seem very unlikely. Tickets to see Gefle IF can be purchased from the club’s office during the working week (9.00 am – 4.00 pm with 1 hour lunch break at 12.00 pm), from the ticket office at the main entrance (opens 3 hours before kick-off on matchdays) and online from the official website (print at home). Strömvallen Stadium is situated 2.3 km west of Gävle Centralstation and the city centre within the green environs of the river bank which overlooks the city’s cemetery – Gamla Kyrkogården. The walk from the city centre follows the path of the river and isn’t likely to take most Football Trippers more than 15 minutes. Parking at the stadium costs 20 SEK per vehicle and is located behind the sports hall and tennis court. There are three decent sized car parks in total and they are all well signposted. Gävle Centralstation forms part of three railway lines (Ostkustbanan, Northern Main Line and Bergslagsbanan) which means the small town of Gavle is relatively well connected. A look at the main entrance of Stromvallen Stadium with the famous sign which greets fans who walk to the ground. On matchdays a special number 13 bus service departs from the city library and drops fans off right outside Strömvallen. Departing every 20 minutes or so, the service runs for around 90 minutes before kick-off and for around 1 hour after the full time whistle. There isn’t really a nearby airport to Gävle with the two closest options appearing to be Borlänge Airport (121 km) and Stockholm Arlanda (135 km). There are a number of well priced places to stay within the town centre such as Hotell Gävle, Hotel Aveny Bed & Breakfast and Gävle Järnvägshotell AB. They are all two/three stays and within walking distance of the stadium and train station.